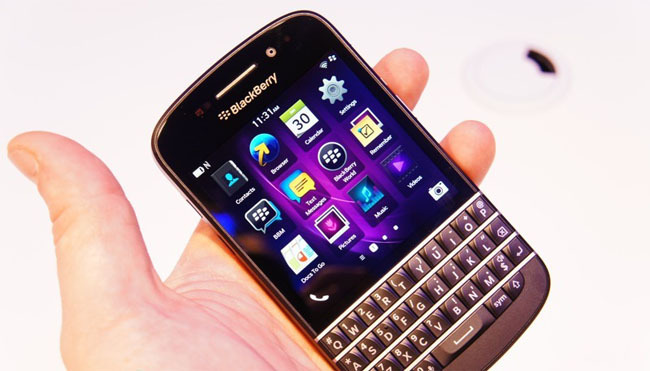 The new BlackBerry Q10 features were unveiled on January 30 alongside the all-touch Z10 at a press event in New York. The BlackBerry Q10 is the first BB10 smartphone with a physical QWERTY keyboard, and is the device most likely to strike a cord with diehard BlackBerry fans. While the BlackBerry Z10 is the flagship smartphone for BlackBerry, and designed to compete head-to-head with the likes of the Apple iPhone 5, Samsung Galaxy SIII and Google Nexus 4, the new BlackBerry Q10 is a hybrid device that gives the nod to traditional BlackBerry design. The BlackBerry Q10 sports a 3.1-inch Super AMOLED touchscreen display with a 720 x 720 resolution, yielding a reported pixel density of 360 ppi which is well into ‘retina’ territory. And it’s not just the pixels – the Q10 display has excellent brightness and contrast as well as an extremely wide range of viewing angles. Under the hood the BlackBerry Q10 specs compare well to the iPhone 5 and Android smartphones, with a powerful 1.5GHz dual-core processor – the same as in the BlackBerry Z10 – paired up with 2GB of internal RAM and 16GB of storage. Design-wise, the BlackBerry is an evolution of the traditional BlackBerry and features stylings similar to the Bold 9930, with marginally larger dimensions. The Q10 weighs in at a fairly-hefty 139 grams and is 10.3 mm thick (for comparison, the iPhone 5 is 7.4 mm thick). Surrounding the device is a solid steel band which provides added drop protection and offers a premium feel to the handset. 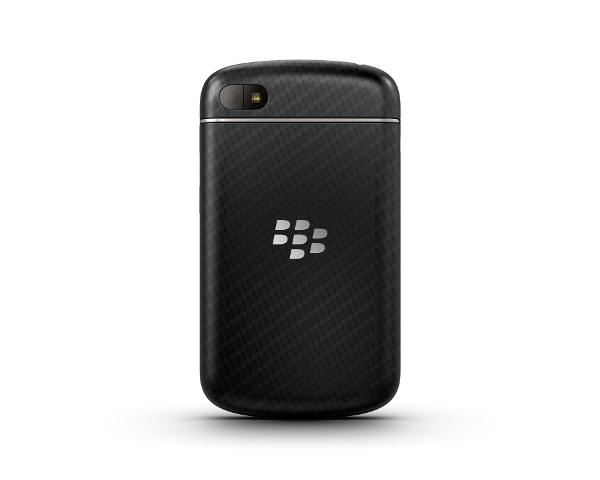 The back of the BlackBerry Q10 features a glass-weave backplate, which gives a solid finish to device and continues the trend of alternative backplates also seen in the Google Nexus 4. Camera-wise, the BlackBerry Q10 features a rear-facing 8-megapixel camera with 1080p video recording and a front-facing 1.3-megapixel camera for video calls over BlackBerry Messenger (BBM). While the BlackBerry Q10 is optimized for QWERTY keyboard-input, the removal of the trackpad necessitates the use of the touchscreen display in order to access the Hub, Peek and Flow features of the BB10 operating system. Early adopters of both the BlackBerry Q10 and the Z10 will have access to between 70-100k apps at launch including iOS and Android favorites WhatsApp, Skype and Amazon Kindle. While BB execs have touted that this is more apps at launch than any other first-generation smartphone, BlackBerry still has a lot of catching up to do and it’s still unclear exactly what kind of support developers will be offered to produce apps for the BB10 OS. While there is no firm word from BlackBerry as of yet, the BlackBerry Q10 release date is expected in the U.S. sometime this April. BlackBerry Q10 pricing and carrier availability have yet to be announced. The Z10 will be sold by AT&T, Verizon, Sprint and T-Mobile and it’s more than likely that each of the top four carriers will carry the handset. Are you impressed by the BlackBerry Q10 features? Would you have liked to see more? Let us know your thoughts about the BlackBerry Q10 in the comments below.